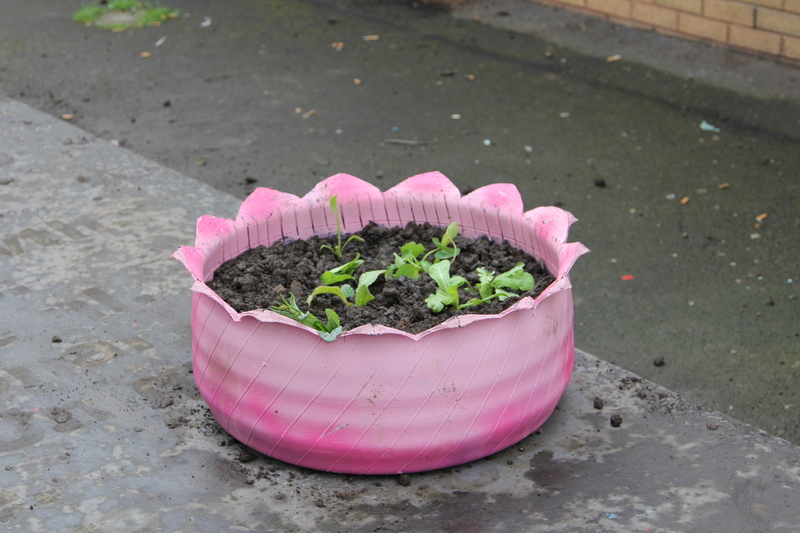 Our Garden Gang on a Thursday have been busy creating funky planters out of old tyres – you wouldn’t know to look at them! 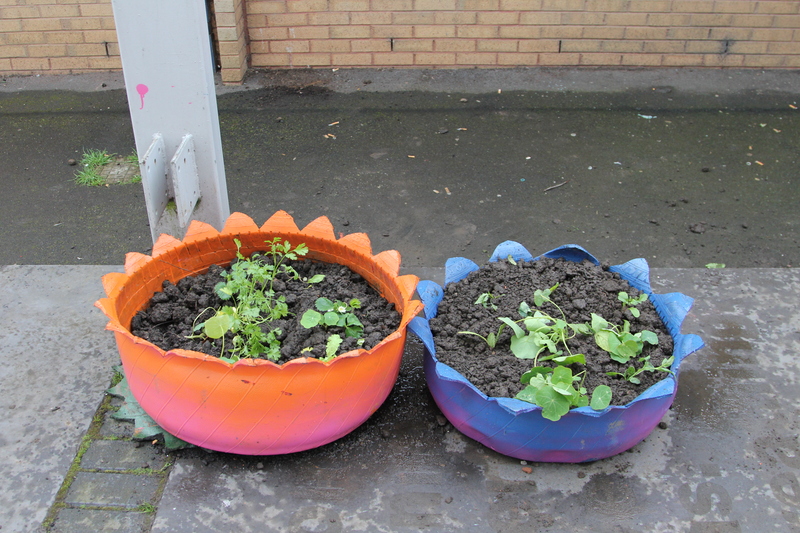 These are brightening up the outside of the North Edinburgh Arts building and planted up with edibles – strawberries, calendula, nasturtiums, lettuce and asian greens. 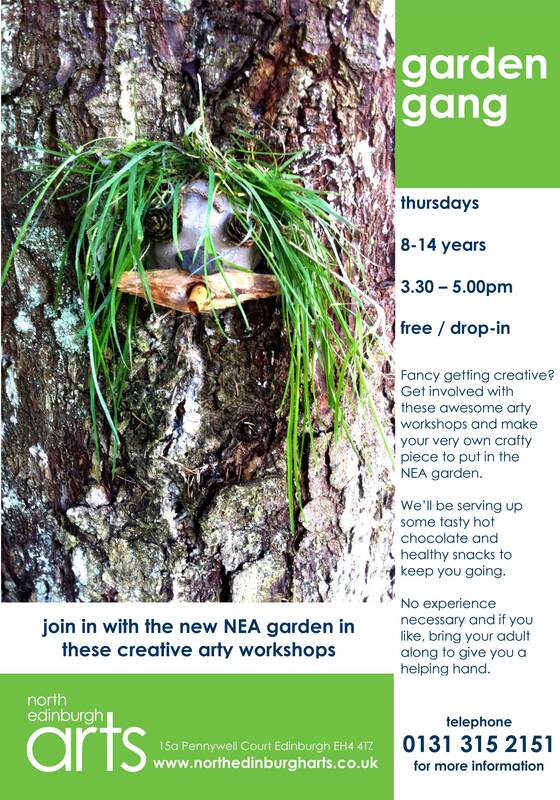 Our Garden Gang session is on every Thursday from 3.30-5pm – it’s a drop-in creative gardening session with games a snack and hot chocolate, for 8-14 year olds. 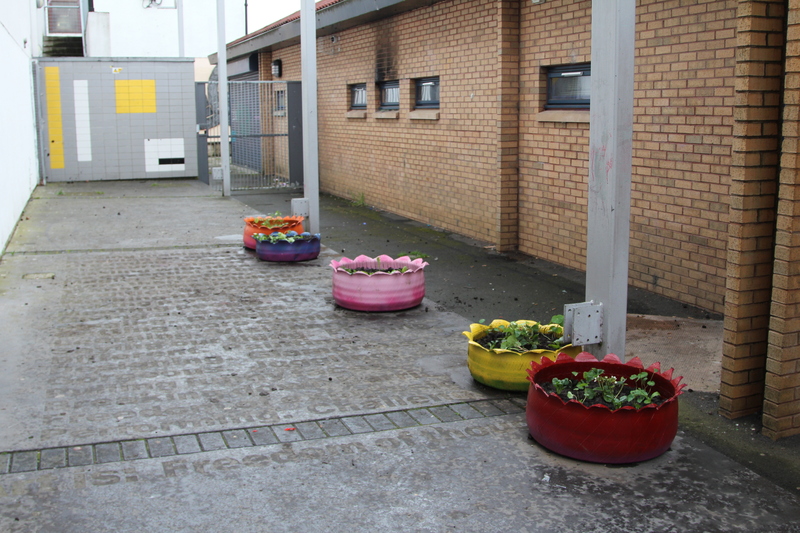 ← Garden open for business!